In this episode of Flite Test, Josh bixler walks us step by step on building your own F-22 Raptor! 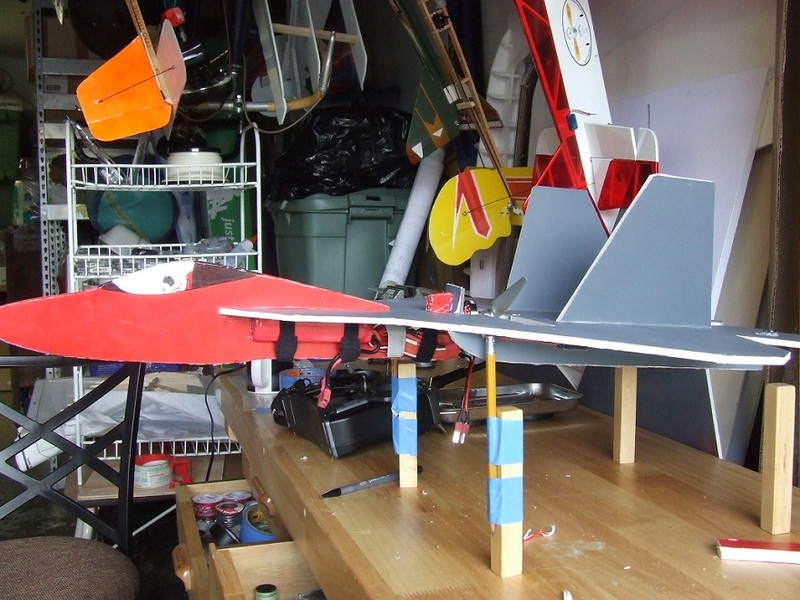 This plane is very simple to build, very easy to fly, and also has great trainer tendencies. Watch to see more. Just got done crashing mine. As my first push motor I think I got the motor inclination wrong. Just wants to nose over. Next weekend we'll try try again. Sure was fun to build though. Great!!! 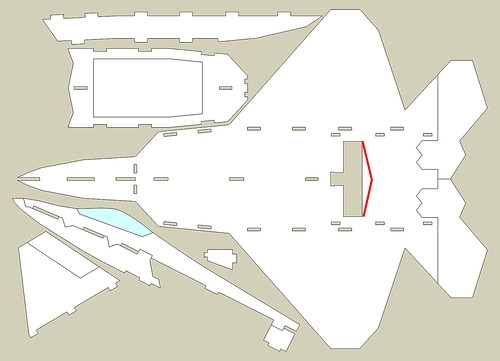 You can pass a link to the plans of this aircraft? Where can I find the link for the plans ? I personally love F22 Raptors. I just picked up everything from Hobbyking. I'm wondering how the electronics go together. Can someone post a picture/video of how their electronics hook up? I picked up an OrangeRX (6ch) for the rx. I'm such a noob to scratchbuilding and airplanes XD. 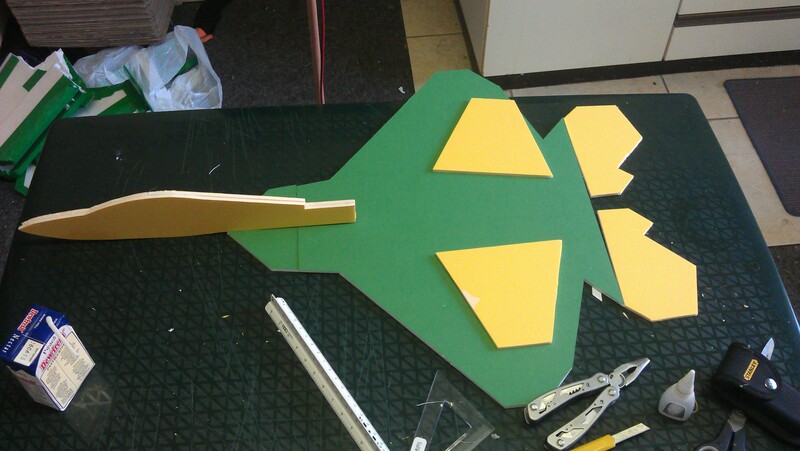 Here's a dumb question for y'all: What type of foam board works well, and where can i get it? I'm in the process of building a raptOR , iv ordered all the stuff from hk . and waiting on the delivery . 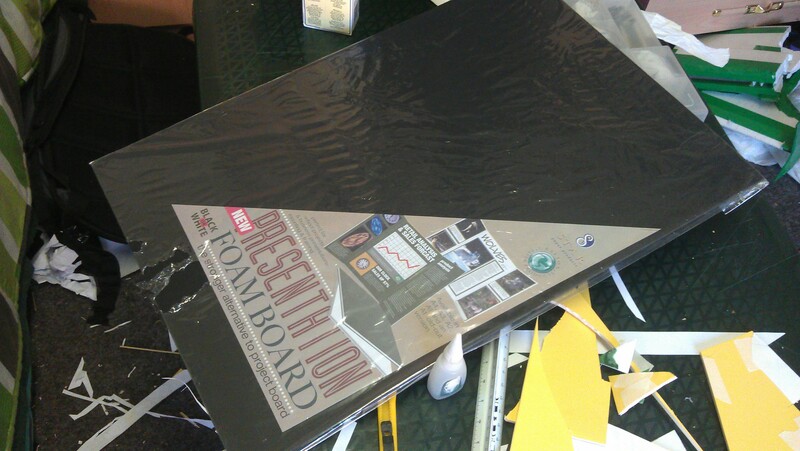 Foam board mainly varies in thickness, I use 6mm but you can get 5mm 3mm and some thicker stuff two. Where you get it depends on what country you live but the last lot I bought was off ebay, mainly because it's quite expensive here in Australia. Of course! This is bigger stuff, but it works just the same. Battery into ESC, Motor to ESC, ESC signal to Rx, Servos to Rx. Mind you I'm using an old Rx which has a super long antenna (black). Don't cut or extend the antenna of your receiver. Thanks for the picture! Does it matter which servo goes into which aileron/elev slot? Looks like i need a programmable dx6i for elevon control . Also, any suggested chargers for the 3S 500 maH? Not necessarily a dx6i, but you will need a radio that does elevon/delta mixing. The dx5e and quite a few lower end radios allow for elevon mixing. If you are going to be sticking around with the hobby I would definitely suggest going with the dx6i or some other programmable radio. Plug one servo into the elev, one into the alile. If you are unable to get everything going the right way by trying different combinations of the reverse functions of the servos, then switch the servo leads. Nope, you don't need a DX6i. You can suffice with a DX5e, but of course a DX6i would be much better and would be useful for longer. A known issue with DX5e's and DX6i's is that they limit throw on the control surfaces to 50% to make an "exact" mix. This issue can be solved on the DX6i by setting up mixing from Elevator to Elevator, and Aileron to Aileron. On the DX5e it can be "solved" by mechanically increasing throw. Im using a Hextronik 24gram 1300Kv Motor http://www.hobbyking.com/hobbyking/store/uh_viewItem.asp?idProduct=2069 and Im making a 24in model and I wanted to know what would be a recommended prop. I was wondering about that charger, looked nice and inexpensive. What power supply are you using for it? I bought the same motor! And the last one . Im also looking for some good props, but im building the 22in model. I've used an old IBM laptop adapter, a converted PC power supply and often run it from a 12v car battery at the field. Currently I'm powering it from a converted server power supply. It's not picky, give it somewhere between 12 and 17 volts and it's happy.